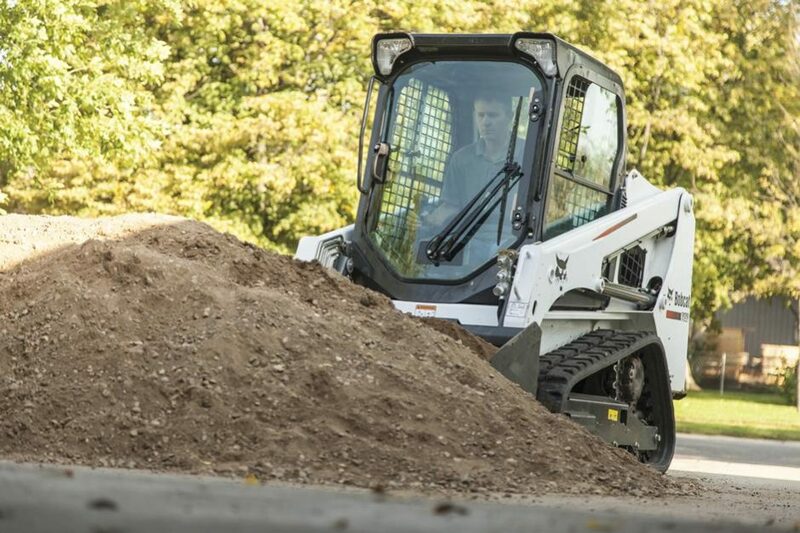 Maneuver around tight worksites with the Bobcat® T450 compact track loader. The radius lift path excels at jobs with mid-range working heights such as dumping over walls, backfilling or unloading flatbed trucks. A powerful Tier 4 engine makes the T450 an impressive performer. Unmatched power to help you push through your toughest jobs. Benefit from industry-leading breakout force, rated operating capacities, faster cycle times and quicker turns. With features and systems that aren’t offered by others, Bobcat loaders are ready to work. Climb into the large, comfortable cab and gain unbeatable visibility. Reduce your operating costs through preventative maintenance that gets completed quickly.